Kimberly J. Morgan is a Professor of Political Science and International Affairs at George Washington University. Her work examines the politics shaping public policies in Western Europe and the United States, with particular interests in immigration and the welfare state. 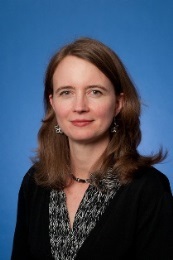 Professor Morgan received her Ph.D. in political science from Princeton University and, before joining GWU, was a post-doctoral fellow at NYU's Institute of French Studies (2000-01) and a participant in the Robert Wood Johnson Foundation's Scholars in Health Policy Research program at Yale University (2001-03). In 2008-09, Dr. Morgan was a fellow at the Woodrow Wilson International Center for Scholars.